This can't be serious... right? So I'm typing up an entry. I've been writing them later recently. I don't know why. The idea of equality is good I suppose but the whole thing has become so... it's really different than what it started out to be, I think. It's for Physio. 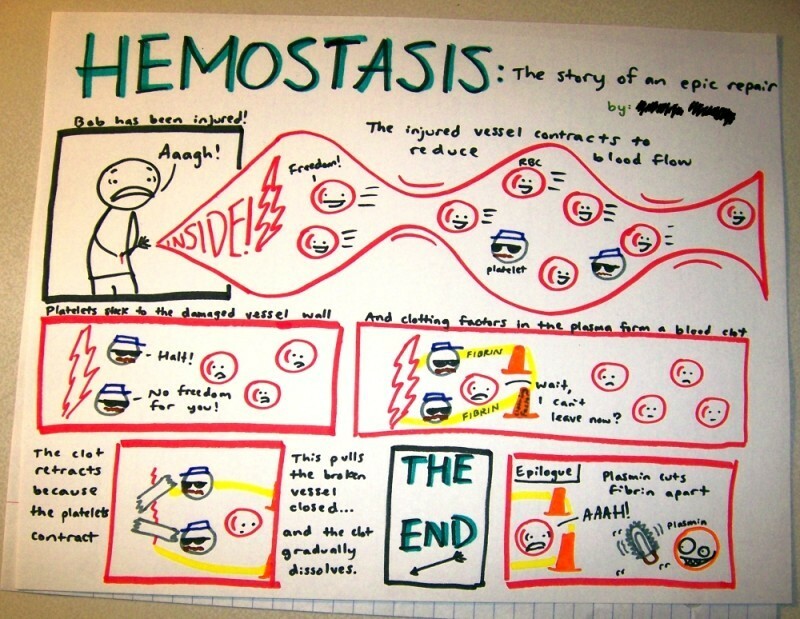 We were supposed to draw a comic about hemostasis. That's when your blood clots. I bet ranor would know. Actually I probably don't even have to bet, he knows a lot of science-y stuff. The image is of course too big to fit comfortably here, so I'm linking it instead. Enjoy... but if you steal it for your own Physio class, which I highly doubt will ever happen, just know that you are a shithead. Conversation! And it isn't dirty! But I don't remember the exact words! Varsha: Have you ever seen a happy clam? Me: Do you want to be clamned? Varsha: Yes, I want to be clamned! Me: You'll go to Shell if you get clamned! Shell for all eternity! "That was so terrible! Why am I laughing?!" All that flashing myself for nothing? NuTang is the first web site to implement PPGY Technology. This page was generated in 0.061seconds.